Although tarot has been traditionally associated with divination, I use it in my sessions as a tool to navigate the client's self-observation and to map out the “here and now” of the client, just as I use verbal cues and music in my guided meditation or sou﻿nd-relaxation sessions to encourage and facilitate the participants’ introspection. 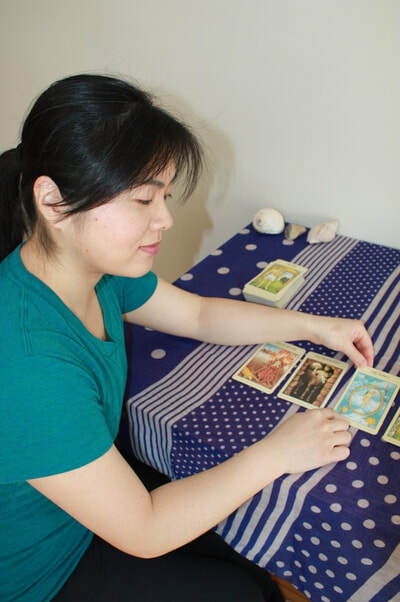 In a reading, we interpret the artistic representations of the archetypes and life-situations illustrated on each of the cards. 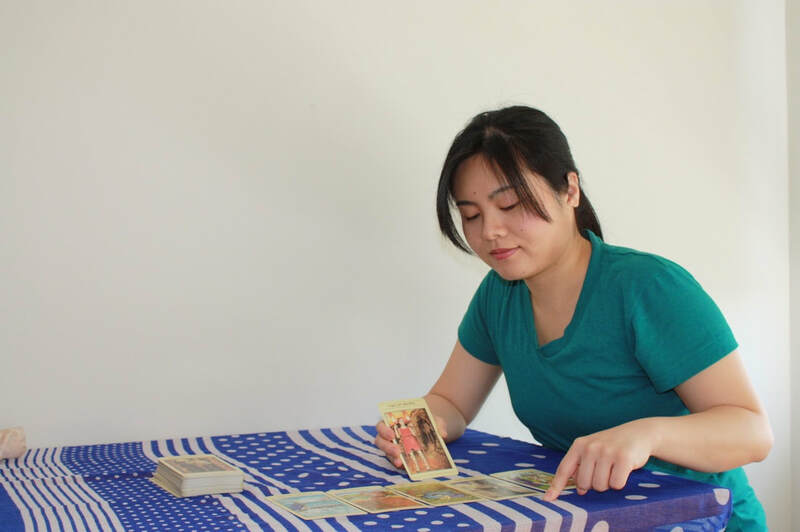 To know more in detail about how this can be done, please click here to read my pdf document. 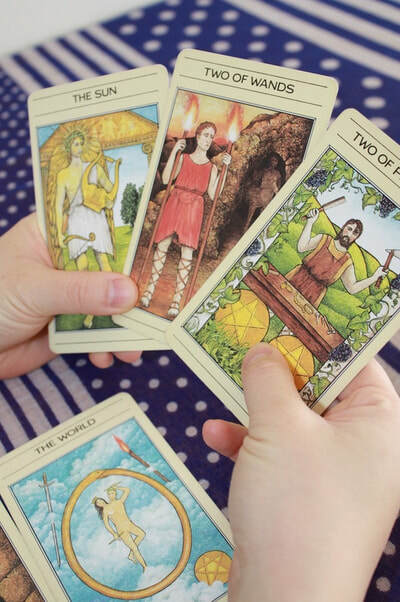 ﻿The tarot works as a medium through which our subconscious and intuitions surface themselves in a more tangible way to the level of the conscious mind. 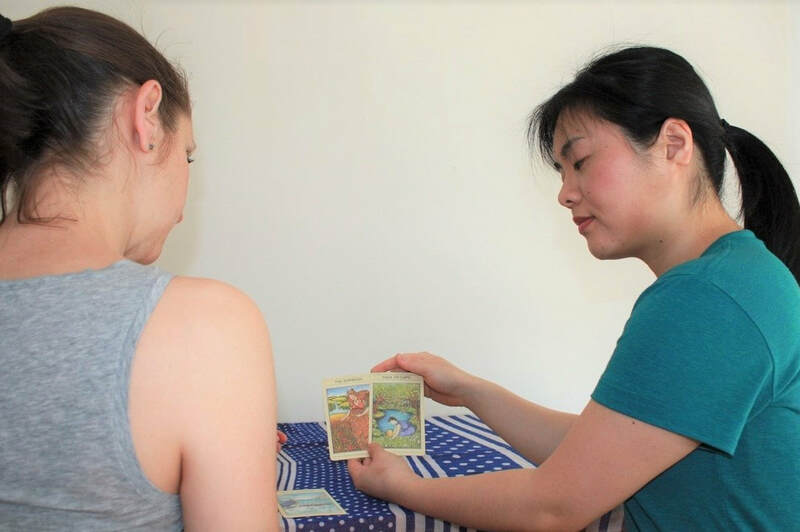 By “reading” and connecting with certain elements in the cards, we can begin to explore and understand our deeper selves - our hopes and fears, even the ones we tend to suppress during our conscious, waking hours. 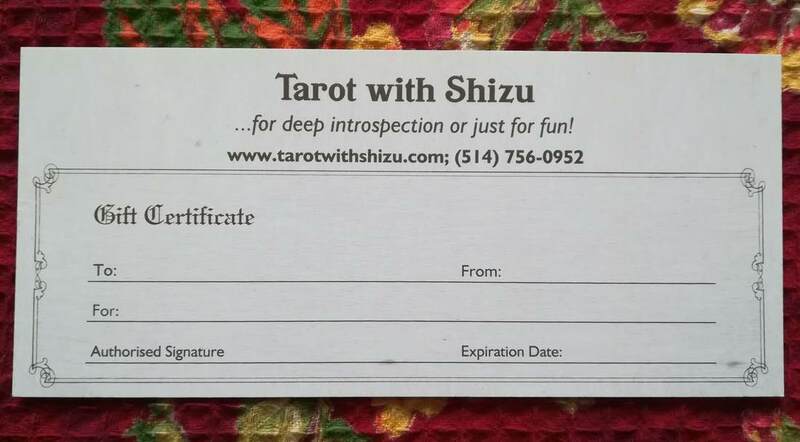 ​Gift certificates are also available!